The firm is launching a campaign this month to modernize the image of Switzerland with events in major cities across the U.S.
APCO Worldwide will work to change the perception of Switzerland in the U.S. starting this month when it kicks off the Swiss Touch campaign. The campaign will begin in February with events in major cities across the U.S., including New York, Atlanta, Boston, Los Angeles, San Francisco, and Washington, DC. 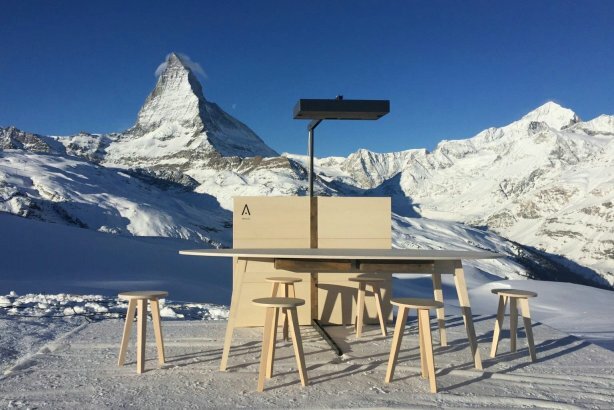 The events will feature Swiss opinion leaders talking about topics from technology to climate change. "We’re re-introducing the real Switzerland," said Lisa Ross, MD of APCO’s Washington, DC, office. "It is really high-tech, really innovative, has extraordinary craftsmanship, and a diplomatic history. Our objective is to make sure key audiences know who and what Switzerland is about." The campaign is meant to reach legislators, influencers, and the informed public with the goal of repositioning Switzerland as a tech hub and forward-thinking country. It will also incorporate things the country is known for, such as mountainscapes, diplomacy, and high-end watches. The centerpiece of the events will be an interactive digital table made by Swiss company Abusizz. The table will allow attendees to interact with a product from the country and facilitate the discussion between event speakers, attendees, and people at home. "It’s centered on this digital table that's been created and can project images, text, or anything and allows the wooden surface to become a touchscreen," Ross said. "We will use what they're known for, the Swiss craftsmanship, and merge it with an innovative technology." Ross is leading a team of three on the account. The contract is set to run through the end of March and is worth $80,000. Ross previously worked with the Swiss embassy several years ago on a similar campaign to refresh the country's brand. "It’s an old country, and we have this old, outdated point of view of the country, like its landscapes or the legacy of humanitarian support," Ross said. "With the Swiss Touch campaign, we’re leveraging traditional images of Switzerland while reintroducing it as an innovative and forward-thinking country."